For your convenience, REO provides OPERATION MANUALS for some of our current blasting machines and related equipment. 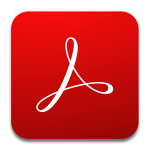 These manuals are in Adobe Acrobat Reader PDF format and may be downloaded and printed for your own use or for distribution purposes. The manuals include operating instructions for the applicable accessory equipment (such as ohmmeters) for each blasting machine model.